A lot has changed in resume writing and job search these last few years. 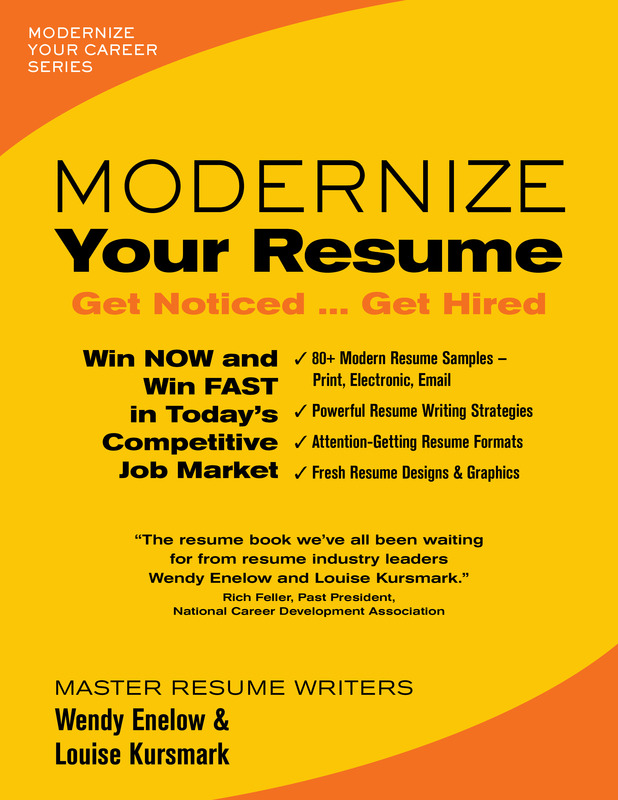 If you’re not sure your career marketing materials are up to date and effective, you may want to check out my new book: Modernize Your Resume. 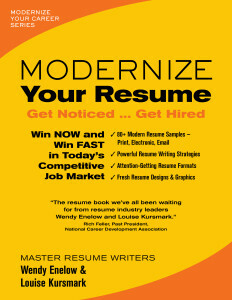 Written with my frequent co-author Wendy Enelow, this book tells you and shows you what works today—and how to write, format, and design a powerful resume that will help you get noticed and get hired. Together, separately, and with other co-authors, Wendy and I have written more than 40 books on resumes and career management. For this latest book, we also took on the challenge of self-publishing … and that meant working with a designer, creating cover and marketing material, finding a distributor, and overall managing the process of moving ideas and advice from our brains into bookstores. We also were delighted to include sample resumes from more than 40 of our talented colleagues. We hope and expect that Modernize Your Resume will become the gold standard for current and evolving resume writing practices. It’s been a real pleasure to create it, and we’re proud to share it with the world.